The last couple of days have been spent packing boxes, moving boxes and packing my suitcases with my clothing. I was looking at the vast amounts of leggings, dresses, skirts, flats, heels, pumps, hats and scarves which I own and must confess that I am a bit of a shopaholic. Case in point, it really doesn't help my cause to live directly in front of a shopping mall with a Target, TJ Maxx, Ross and Kohl's. Walking into one of these stores is a visual treat for me, to see all of those handbags in different hues of aqua, red, grey, yellow, orange, makes me melt with excitement. Due to budget reductions and the fact that I am currently self-employed, my shopping habits have drastically made me wallet conscious for every item I purchase (including groceries). For now, I can only gaze at the beautiful Spring fashions that loom in the display window. The good news for me, however, is that I can now search for items that catch my fancy, online. So here are a few items that caught my fancy! The brilliant "Zee" shoe, by Donald J. Pliner. 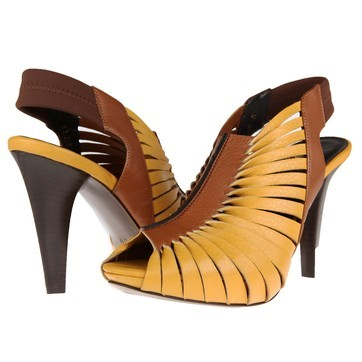 I absolutely love the mustard yellow color in this shoe! 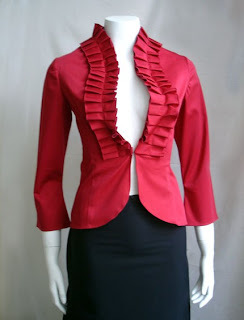 I found this brilliantly vivid and ultra feminine jacket on Etsy.com. It is the creation of Prizy Sebastian, an emerging, independent designer based in NYC. 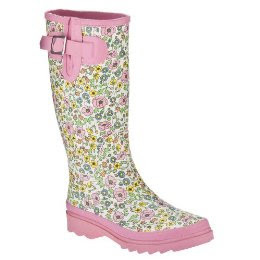 I love the floral print on these wellies (aka: rain boots) from the Liberty of London for Target collection. They make me wish it would rain everyday, just so I could wear them that often! The must have spring/summer dress is the maxi dress. I love the scarf and belt used to accessorize this amazing dress. It comes courtesy of Dorothy Perkins, one of my favorite London based fashion retailers. I absolutely love Orla Kiely! This cotton shoulder bag features a floral print with single carry handle and contrast lining with internal pocket. I found it at ASOS, they ship internationally. This is a great spring/summer bag, I would love it for my birthday!! I often look to fashion for inspiration in my creations and this virtual trip did not disappoint. Tomorrow is my BFF's birthday and I have been in quite a festive mood for this occasion. I have been accumulating presents since November of last year, carefully choosing every item to ensure that they meet my strict requirements: cute, unique, stylish and a little glam. All of these things describe my best friend, but the biggest praise of all, is that I can call her my SISTER. 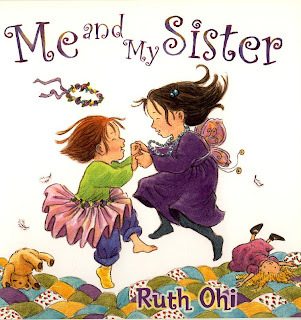 The word sister has such a special meaning to me, because biologically I am an only child. I have been fortunate enough to be graced with the presence of many female friends who I also call my sisters: those friends who have been there for me: when I was hurting, when I was struggling, when I was across an ocean dealing with the most difficult time of my life, when I am happy, those who with a simple "Hello" on the telephone can detect that something is wrong. I am truly blessed to have so many special sisters in my life. I have known Libby for 20 years! We met in 9th grade and through it all, we have remained BFF's. 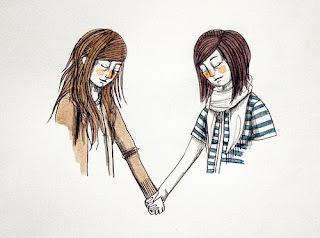 We survived high school, college, she got married, had a child (my Godchild), moved to another state, then I moved to another country, then I moved to the city where she lives and now on the verge of me moving to another city, once again, I look back at this lifetime friendship that we have shared and smile, because I wouldn't trade it for any other. I can't imagine my life without Libby, my shoulder to cry on, my one phone call (if I ever get arrested, hopefully it won't go to voicemail! ), my advisor, counselor, fashion stylist, my SISTER. HAPPY BIRTHDAY LIBBY!!! Ich Liebe Dich!!! Have a great day, afternoon or evening wherever you may be in this Big and Bright World. Getting To Know All About You.. Welcome to Farnum Ink Studio! I am very happy that you have stopped by my corner of the world. I want to introduce myself and my work, so here is my story! Hello! My name is Dannibeth and I am the artist behind Farnum ink Studio. in my studio I create a range of items: from One of a Kind (OOAK) jewelry, paintings, art prints, photography prints and softies/plush. Farnum Ink Studio began as a seedling in 2007 during my time living in London. 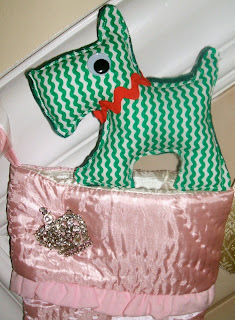 I was finishing my postgraduate work and I started to create felt stockings with a Martha Stewart pattern. I made quite a bit of holiday stockings and brought them home to the US with me. It wasn't until mid 2009 that I began to paint and sew and i've been on the creative entrepreneurial path ever since. I am the Marketing & PR Director for Isa Zapata Inc. Isa is an amazing Colombian artist who resides in Miami and we have been working together since 2004. She is extremely creative in having created her brand which includes: children's paintings, murals, housewares, fashion, accessories in such a short span of time. Isa is one of my closest friends and I would be lost without her!! It's been great to be in my position, because I can see how much we have evolved as people and as artists over the years. You can see her work at www.isazapata.bigcartel.com! Additionally, I sew and have taken up baking and cake decorating as well. I like to take walks outdoors and see the birds and all of the nature that surrounds me. I like to read (I am a certified bookworm, I'll even read the labels on food if I am out of books/magazines/newspapers) and I love to travel. I never leave the house without my passport. My friends and family have now labeled me as a true "gypsy" as they never know where i will move to next! I don't categorize myself as an "artist", although my 6 year old Godchild thinks I should be one every time I draw an ice cream cone or the likes! I grew up in a space where my mother (as a seamstress) made my clothing. I sometimes hated not having mainstream clothes but quickly realized that it was brilliant to have your own personal fashion designer! I have been surrounded by fabrics, buttons, zippers, sewing machines and haberdashery ever since i can remember. I have always been more of a "creative" whether it be in writing poetry, doodling, creating marketing campaigns, graphic design, singing, playing piano. I have always been drawn to the artsy side of things. My mind is always racing! I am extremely visual, so I see things in my head first and then go directly to the work station to create them. I do sketch some things when dealing with paintings and digital art work, but most of it just comes to me and I process the information immediately and it turns out to be one of my creations. I confess I am a night owl, I stay up very late creating things. Thanks for stopping by and don't forget to check out my creations on Etsy, Flickr or Become a Fan on Facebook!